One of my favorite jobs as a color designer is to help restore period homes to their authentic glory. 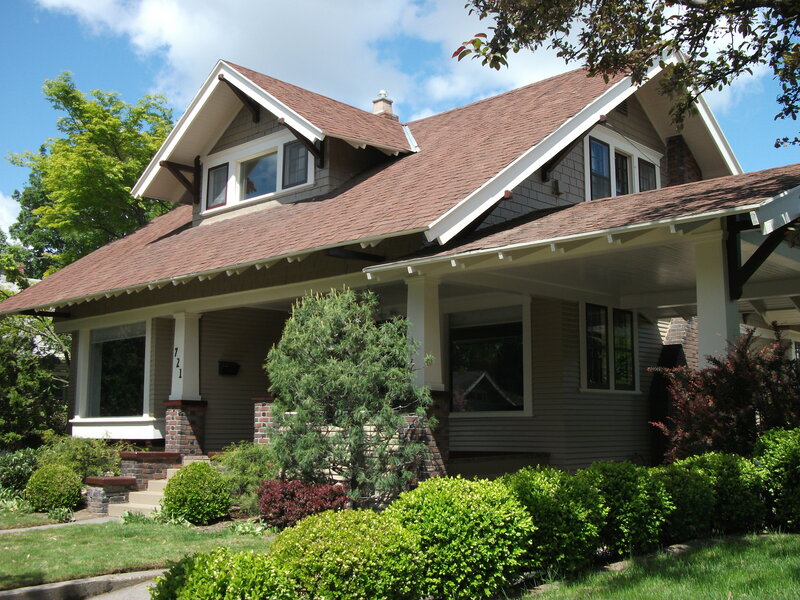 I have had this pleasure recently working with a very nice couple that have beautifully maintained a 1910 Craftsman gem nestled in a neighborhood of turn-of-the-century homes near the Whitman College campus. It was all white when I first saw it and screamed to be led back to its roots of rich, earthy Craftsman colors. The owners had given this project much thought and knew how they wanted it to look but weren’t sure how to get there. It was very helpful that they knew their likes and dislikes and that they loved the colors of the Craftsman era so they didn’t hesitate when I suggested the colors that I felt would best enhance the beauty and architecture of their home. The painting has just been completed and I couldn’t be more pleased with the results. When you get the colors right it has the effect of looking like it was always that way…and I think this beauty does! ~ by sandywenberg on May 4, 2010. This entry was posted on May 4, 2010 at 8:28 pm and is filed under Authentic Craftsman colors, Color, Exterior color consulting, Exterior color design, exterior paint, exterior paint colors, exterior painting, Historic home remodel, Historical homes, Kingston WA Color Consultant, Kingston WA color consulting, Kitsap County Color Consultant, Kitsap County color consulting, paint, painting, Period architecture, Professional Color Consultant, professional color consulting, Wenberg Color Design.You can follow any responses to this entry through the RSS 2.0 feed.You can leave a response, or trackback from your own site. Previous: Welcome to my life in color….